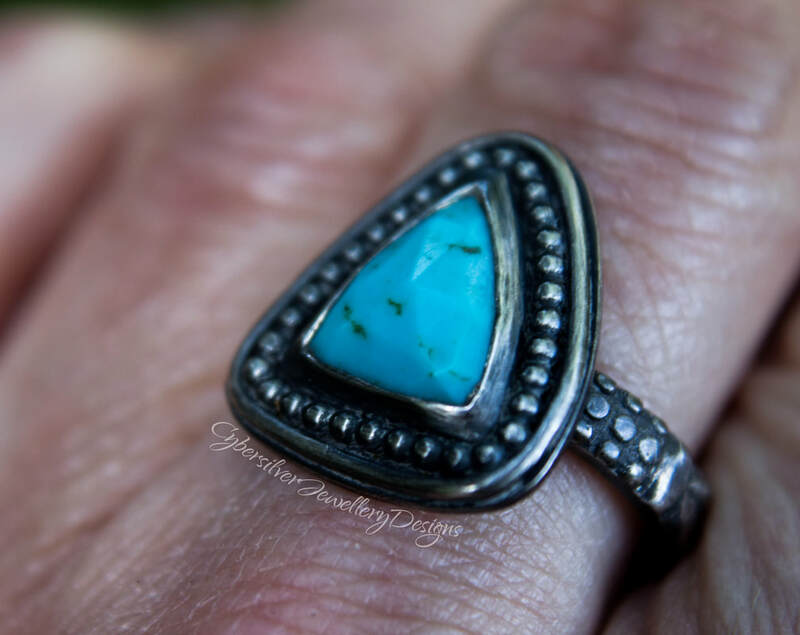 A gorgeous and unique cushion cut genuine turquoise silver ring. Entirely handmade by me in my Oxfordshire studio, this ring is constructed from sterling silver and is a one-of-a-kind. 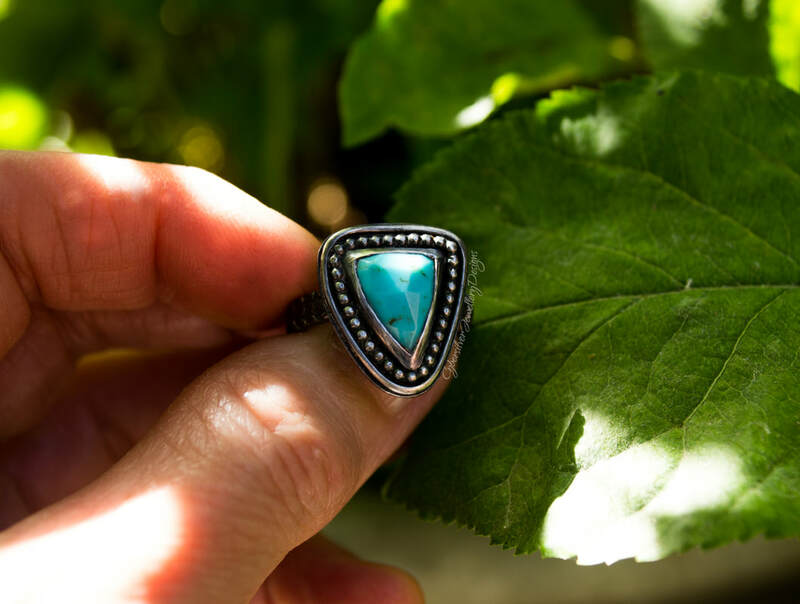 Detailed with silver beads and a decorative band, this ring is really eye catching. Oxidisation is a surface treatment that will continue to lighten with wear.